t-shOrt is a Non-profit Civic Company, founded in December 2000 by Kyriakos Chatzimichailidis (director-producer). Its main object is the production of short films and additionally all short artistic events. Moreover t-shOrt has successfully distributed tens of short films at cinemas. 2017: «Exodus», an anthology short documentary, directed by Fani Mpitou, Anna Antonopoulou, Giorgos Detsis, Manolis Kandanoleon, Maria Papageorgiou / Greek Documentary Association, t-shOrt, with the support of the Greek Film Center. 2017: «The Ticket» Cinematographic short film directed by Haris Stathopoulos / t-shOrt, G.F.C. 2017: «Exodus – Temporarily», Short Documentray, directed by Maria Papageorgiou / Greek Documentary Association, t-shOrt, with the support of the Greek Film Center. 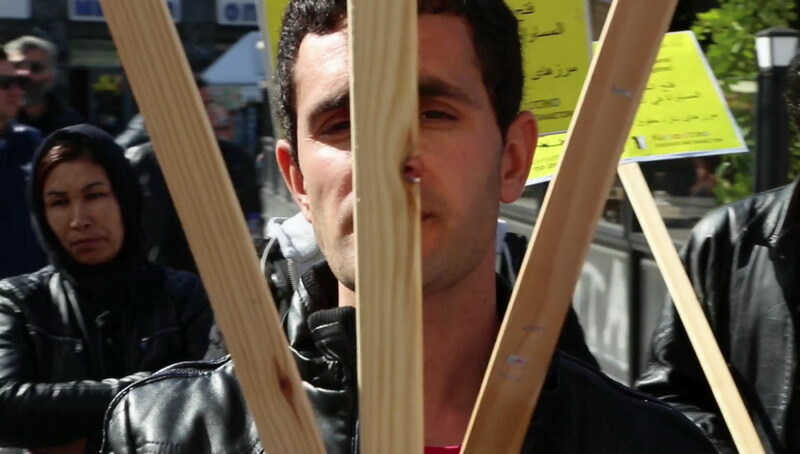 2017: «Exodus – Open borders», Short Documentray, directed by Manolis Kandanoleon / Greek Documentary Association, t-shOrt, with the support of the Greek Film Center. 2017: «Exodus – Return», Short Documentray, directed by Giorgos Detsis / Greek Documentary Association, t-shOrt, with the support of the Greek Film Center. 2017: «Exodus – Ali & Soraya», Short Documentray, directed by Anna Antonopoulou / Greek Documentary Association, t-shOrt, with the support of the Greek Film Center. 2017: «Exodus – Niaz’s words», Short Documentray, directed by Fani Mpitou / Greek Documentary Association, t-shOrt, with the support of the Greek Film Center. 2017: Parcours – An evening full of Greek short films screenings in Paris about immigration / t-shOrt – Kyriakos Chatzimichailidis. 2017: S.E.T. (Short European Trip) travelled to Brussels again – A 3 day Greek short films screening / t-shOrt – Kyriakos Chatzimichailidis. 2016: «The Ticket» Cinematographic short film directed by Haris Stathopoulos / t-shOrt, G.F.C. 2016: S.E.T. 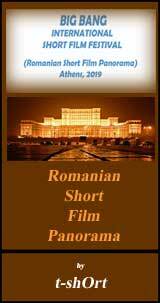 (Short European Trip) Greek short film screenings abroad / t-shOrt – Kyriakos Chatzimichailidis. 2014: «Icarus. Jump into the future», short animation film, for Agios Kirikos’s Archaeological Museum. Directed by Kyriakos Chatzimichailidis. 2012 «POSITIVE STORIES» DVD production. It’s an anthology film for HIV virus. 2009 «KYNASTON» written by Stephen Kakavoulis Theatrical production directed by Kyriakos Chatzimichailidis which were presented at «Studio Mavromichali» theater. 2008 «GOLDEN FILM CASE 1» Production of the first DVD with classic short films collection (1961-1994), sponsored by Institute of Audiovisual Means. 2008 «FAREWELL TO ARMS» Cinematographic short film directed by Nancy Spetsiotis / independent production, supported by the Greek Film Centre’s program «first step». 2007 «www.shortfromthepast.gr», Site for strictly selected Greek short films. 2004 www.bigbang.gr, Cinematographic room in the internet for short films. 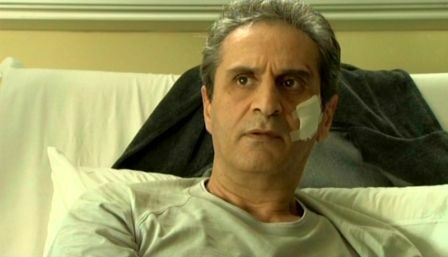 2003 «LAST TRY» Cinematographic short film directed by Kyriakos Chatzimichailidis. 2002 www.shortfilm.gr, Portal in the internet for history of Greek short film. t-shOrt has completed a project in Information Society program 2007.